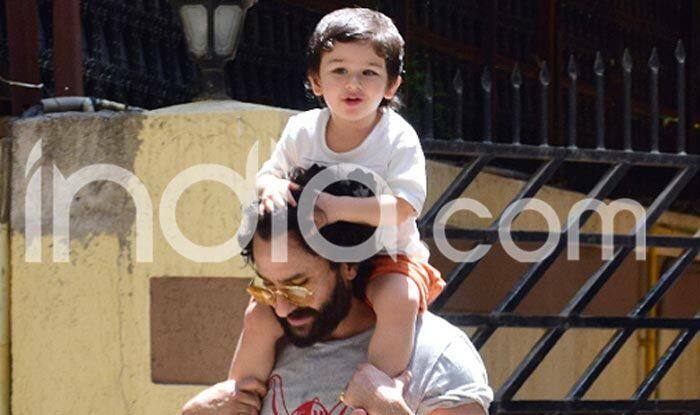 Taimur is a favourite among the paparazzi and he never disappoints them with his expressions and antics. 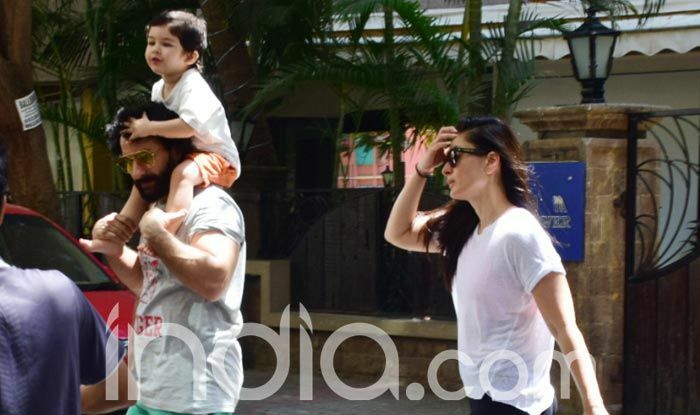 Taimur Ali Khan always makes us smile when he is out and about and recently he was spotted getting a piggyback ride from his father Saif Ali Khan as his mother Kareena Kapoor walked beside them. 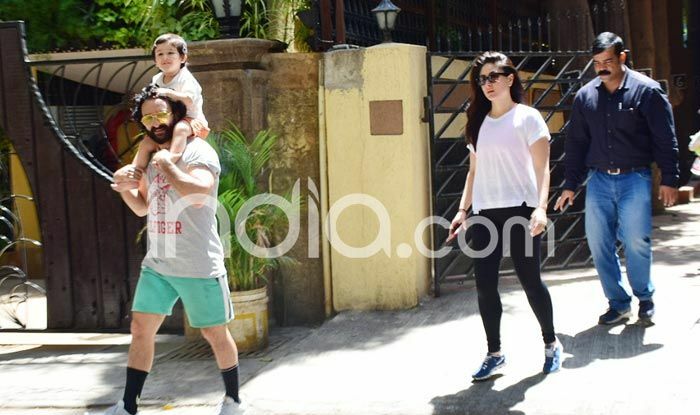 Saif and Kareena were apparently picking up their little munchkin from his playschool, and while giving his customary smile to the paparazzi, he also did not seem to have any shoes on. 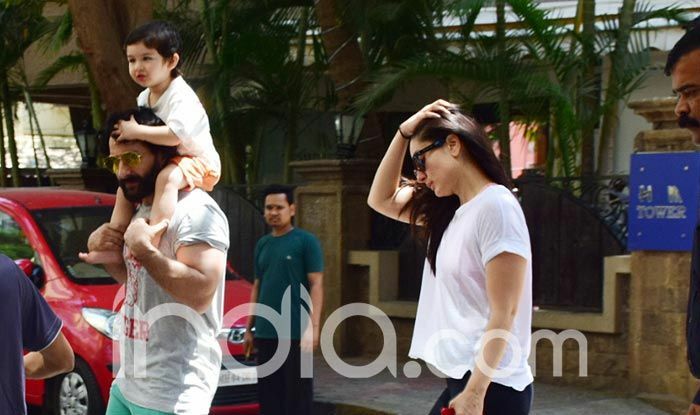 While Saif was seen dressed in a grey t-shirt and green shorts with half socks and sneakers, Kareena wore a white tee with black jeggings and blue sneakers. 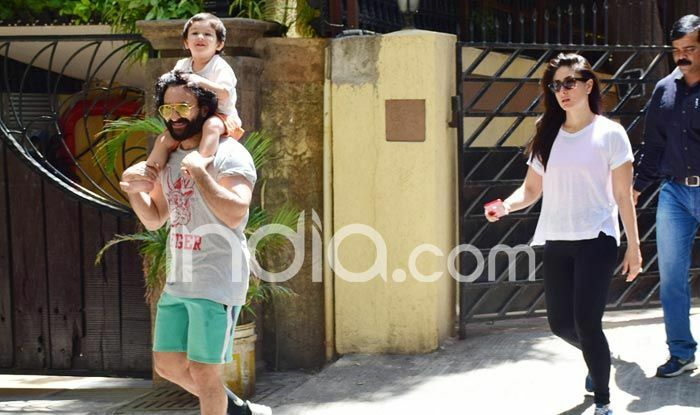 Taimur, on the other hand, had on a white top with orange shorts. In today’s pictures all he did was smile, but two weeks back the little Nawab got a little cheeky with the paparazzi for disturbing him while he was checking out his Paddington Bear book. 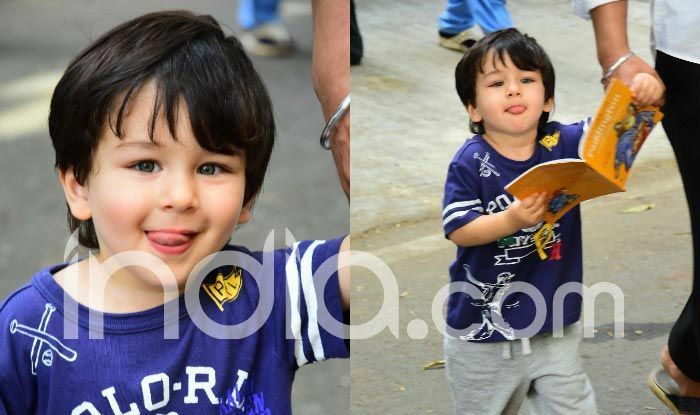 When they called out to him to say ‘Hi’, Taimur looked up and with a mischevious smile, stuck his tongue out at them. From all the star kids, Taimur is the most favoured as he never disappoints us with his expressions and antics, and he has become so popular that even film stars want to be a part of his life. Earlier actress Taapsee Pannu had during an interview asked if she could take Taimur out on a date. While she was obviously just joking and trying to avoid answering about her love life, we can see that Taimur definitely has an influence on her too.